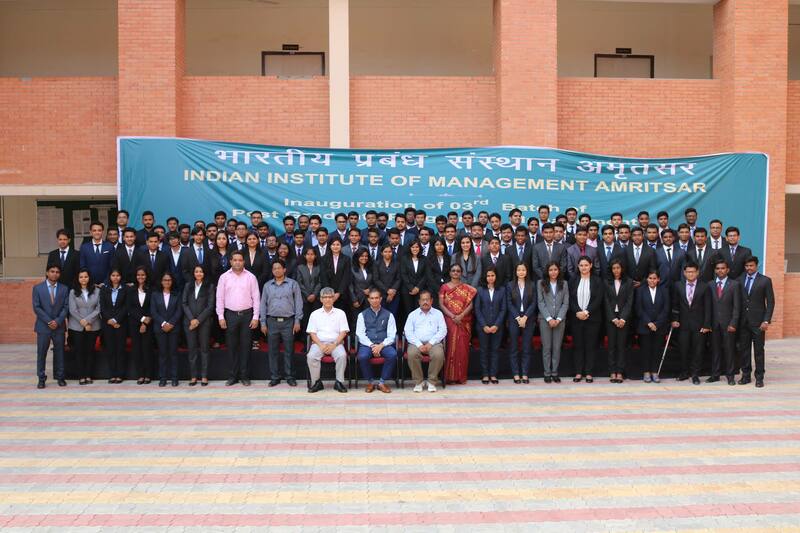 It was an another afternoon on 23rd of January 2017 filled with insights and sagacity as students of Indian Institute of Management Amritsar interacted with Mr. Karanjeet Singh, HR Director, Snapdeal. The guest apprised students about “Role of HR in Mergers and Acquisitions”. The session commenced with Mr. Karanjeet’s revelation about the causes behind rampant mergers and acquisitions in various sectors. He went on to tell students about how these events present an excellent opportunity not only to expand the company but also to acquire the much sought after talent pool. The guest then introduced to students the concept of “Acqui-Hire” and the variety of M&A transactions. Moreover, he also talked about the apprehension that results from the same and how strategies like ‘Golden Handcuff’, trust building and a continuous flow of information help to drastically reduce the degree of attrition. He further spoke about the due diligence with which an HR must carry out the process. Mr. Karanjeet also emphasized on the challenges faced during the integration phase of M&A in various aspects like productivity, culture, pay-scale, equal opportunities and skill set. To add to it, he highlighted the importance of minimizing the time consumed in change institutionalization. As session moved towards a conclusion, the guest enlightened students about the significance of communication and assurance in such scenarios.